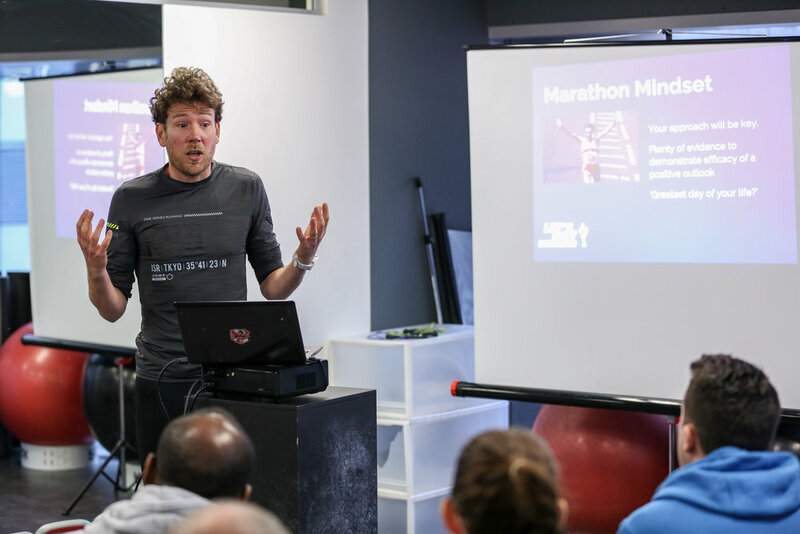 We recently presented at a Marathon Workshop for the Running Bug, preparing runners for the London Marathon. 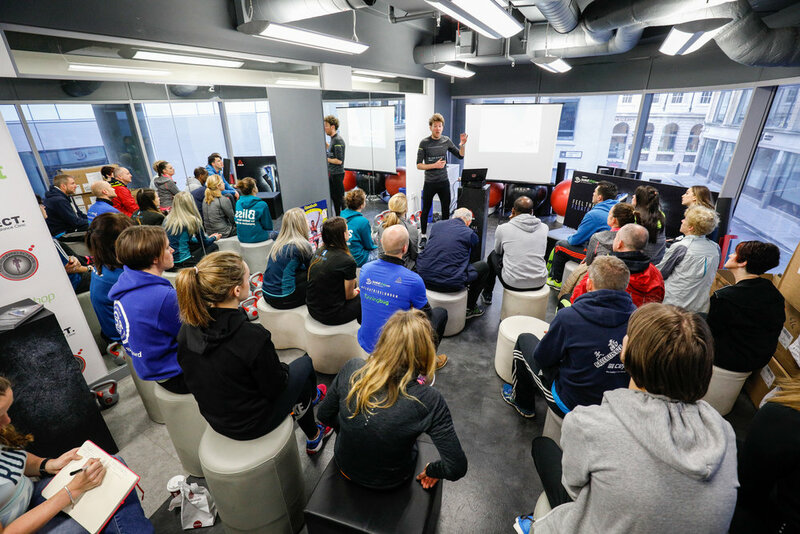 The event also showcased presentations from Renee McGregor, dietitian to a number of top UK athletes, physio Scott Newton, and a Q and A with former world record holder and current UK record holder Steve Jones. Steve's chat was very revealing. Here's our takeaways from his discussion. 1. 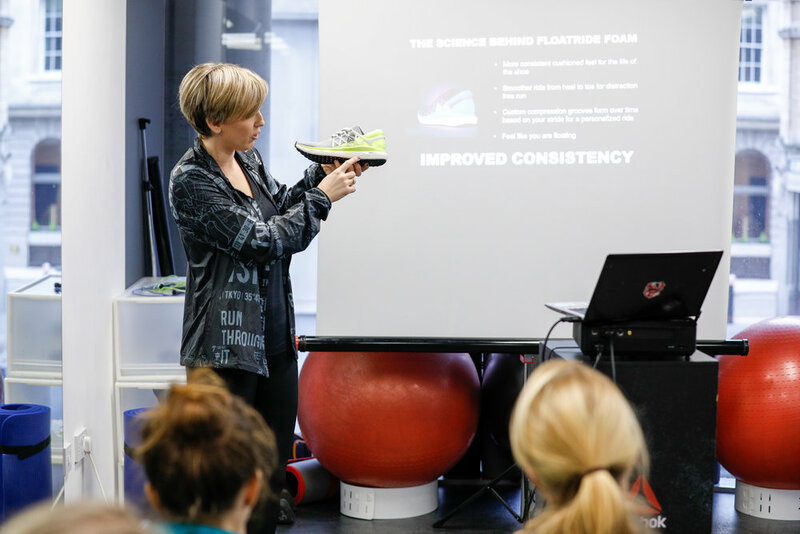 Learn something new about yourself on every run. Before we go any further I should re-iterate Steve's own assertion that he was an anomaly; he was able to take on a high volume of intense running and cope with it. Steve said he pushed himself hard almost every day. His goal was to 'learn something new about his body and capabilities every time'. Most people will never be able to train like Steve, but we should try and learn about ourselves during our runs. Even on our easy runs we can listen to our bodies and ask ourselves questions; are we recovering better the day after hard sessions and why? Can we adapt your technique running uphill to help move more smoothly? You are an experiment of one, so experiment. Try things and pay attention to the feedback you get from your body. 2. Don't spend too much time worrying about diet. Steve made two important statements on diet. One of which I think was largely missed. Firstly, he said he ran his world record off a diet of Mars bars and Coca-Cola, which was undoubtedly true and was met with a lot of laughs. 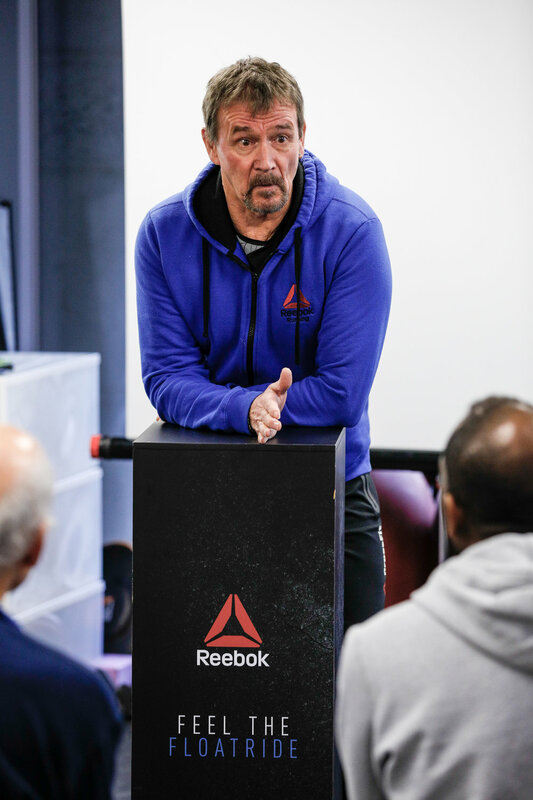 But he also said that athletes in the 80's were doing a lot of the things that dietitian Renee was recommending in her presentation. They were eating similar things ( like drinking milk post exercise), eating a balanced meal with carbs and protein, keeping topped up with protein throughout the day, and ensuring they were getting extra carbs on hard days to ensure they could complete the workouts. The important point was that if you're training hard you need to eat. Keep things simple and don't make things overly complicated. 3. Distance running is all about stress and coping with stress. This was a great point. To be a good runner you need to be able to run hard for long periods. You therefore need to learn to hurt yourself and cope with pain in training. Wearing a watch and running to a predefined pace or tempo will not help you do this. Experiment- going out hard, and push yourself. It might end in disaster, but you'll find out loads about yourself by doing it. Steve did mention that he didn't do any gym work in the early part of his career. He did a hard physical job so didn't need to. But he did say he thought that it made the difference to him going up a level and being in position to break world records. It was a fascinating talk, one which illustrated the fact that there is no easy route to success. Nobody will be just like Steve, you cannot copy and mirror someone else's approach and expect the same results. 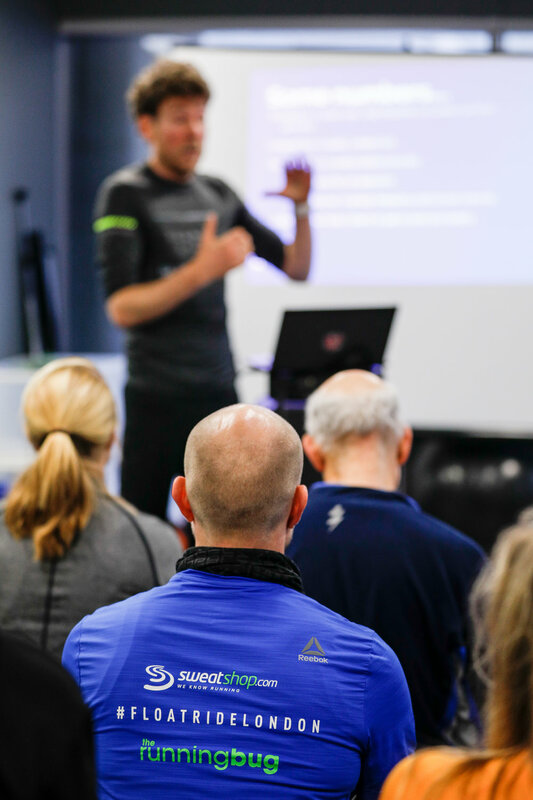 However you can be inspired by his success and use his over-riding principles to influence and adapt your own training. 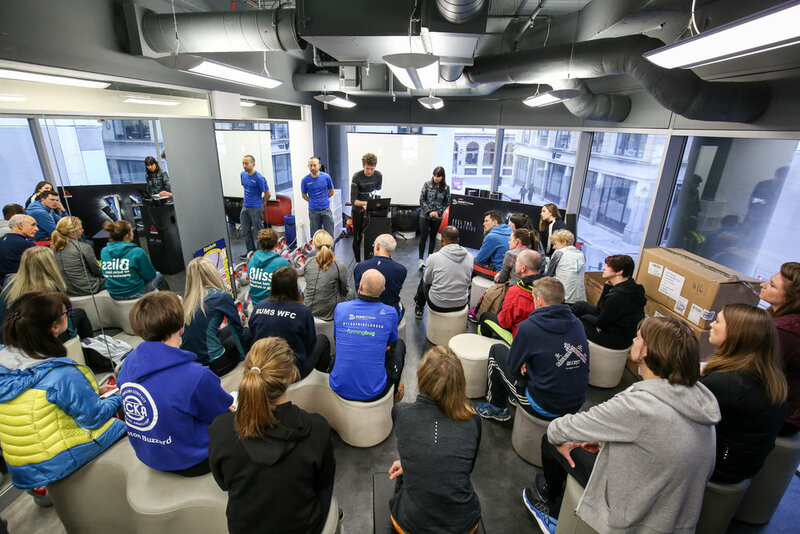 Check out some of our fantastic podcast interviews with top runners, coaches, dietitians and specialists. We preview the London Marathon and interview inspirational Marathon runner Derek Rae- who despite losing the use his right arm in a motorcycle accident, has gone from a 3 hours Marathon time to a 2.30 World Champion! 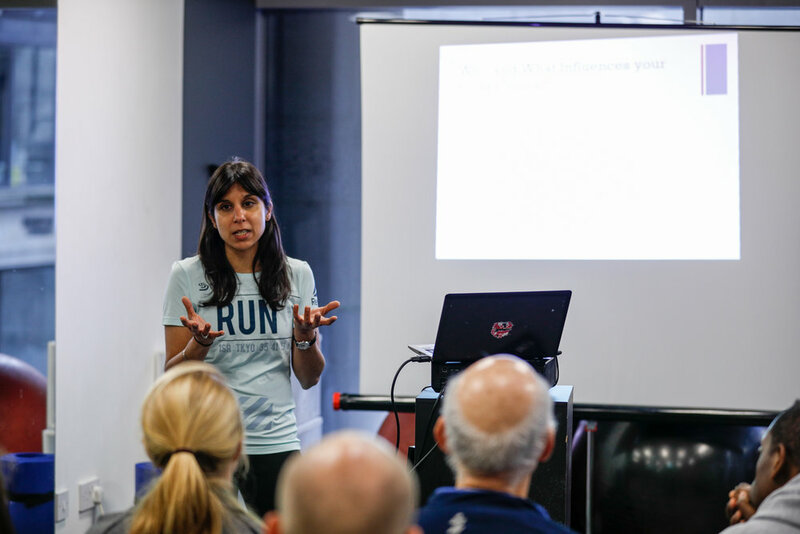 On this week’s show we talk to Olympian and Running Scientist Shalaya Kipp. On this week’s show we talk to the fastest American women ever to run 10,000m, Molly Huddle. We speak to Kevin Quinn, who after heart surgery to deal with multiple holes in his heart, has gone onto run PB’s at distances from 5k- Marathon. 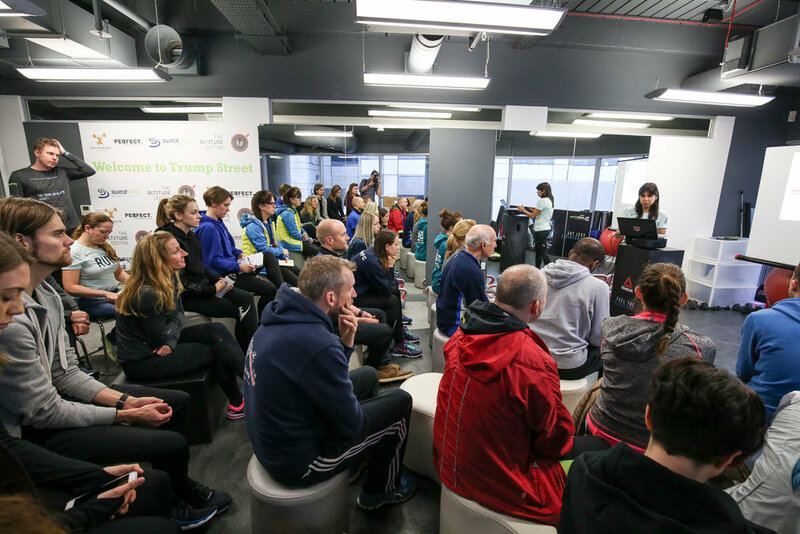 We also launch the Grassroots Hero Campaign where you can nominate those who have inspired you and your running.